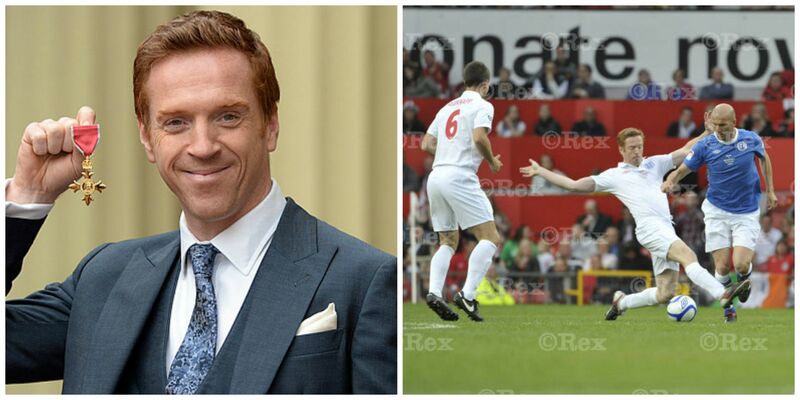 Our sporty bloke may have been spotted perpetrating some immaculate swings on the golf course a few days ago, but around this time last year, we were privy to seeing Damian knock around a ball for a bit and show the rest of the world his prowess in the game of footie at Soccer Aid 2016. Here’s a look back at that match and the three of us meeting up virtually to watch the game. My personal favorite of all the pictures of this event, and, perhaps, my favorite picture of him from all of 2016…how he’s so far above the ground, so focused on the task at hand. A visual metaphor, really, for an entire career.